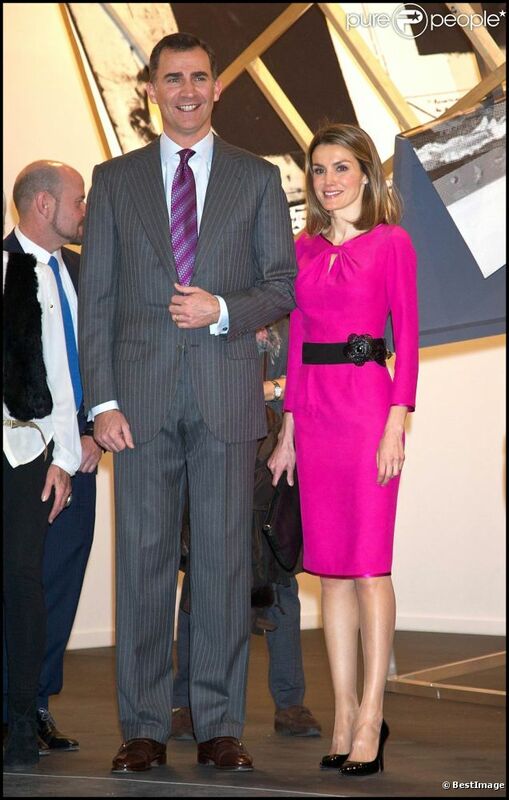 On February 16 Don Felipe and Doña Letizia opened the International Contemporary Art Fair of Madrid at IFEMA. Her only jewellery were her star earrings, her wedding ring and her engagement Suárez ring. Photo: Purepeople/Best Image, Getty Images/Daylife, Hola, Suárez, Felipe Varela, Newscom, Mango. « Working meeting of the Spanish Federation of Rare Diseases (FEDER) February 2012, Madrid.